I should have started posting Instant Pot recipes a long time ago but I didn’t realize people even knew what an Instant Pot was, let alone that they were crazy over them. I bought my Instant Pot on Amazon a few years ago when I was shopping for slow cookers. I had read about how most slow cookers leach some lead into food and wanted to buy something that with either a glass or stainless steel insert. Since the Instant Pot had a stainless steel insert and was multi-function, I decided to get that with the intention mostly using it as a slow cooker. The funny thing is, I almost never use it as a slow cooker. My go-to cooking methods with the Instant Pot are sautéing and pressure cooking. I’m uncomfortable leaving any appliance turned on while I’m not home and most slow cooker recipes take eight hours at the most. I may work an eight hour day but I’m typically out of the house closer to 10 1/2 hours, often more, because of lunch and commuting. However, being able to pressure cook the same cuts of meat for only an hour while I’m off doing other things around the house really appeals to me. The meats always turn out just as tender as a slow cooker would make them. The other plus is that you can sear the meats and sauté or steam veggies in the same pot. This recipe is served over rice and if you prefer, you can cook the rice ahead of time in the Instant Pot since it also works as a rice cooker. I don’t currently have any recipes posted for Instant Pot rice but you can quickly type in the type of rice you’re using into Instant Pot Recipes Finder to find cooking instructions for that particular rice (as well as practically any recipe you can think of). Cauliflower rice can be cooked in a bit of fat using the sauté function. I’m really enjoying recreating all these family recipes. This chop suey recipe is a spin-off of my mom’s recipe which was a spin-off of my grandma Gail’s recipe which was a spin off of a 1950’s Betty Crocker recipe. The version I ate growing up (mom’s version) was typically beef stew meat with soy sauce, ginger, Chinese spices, canned “fancy Chinese vegetables”, and canned baby corn served over white rice and topped with crunchy chow mein noodles. So good! I had considered baking some Cappello’s fettuccine noodles the same way I had baked their lasagna sheets when I made cinnamon chips. I thought it would be a good, crunchy substitute for chow mein but decided to keep the recipe a little more budget-friendly. Melt lard or other fat in an Instant Pot set to sauté. Do not cover with lid. Once the fat is hot, stir in garlic, bell pepper, mushrooms, onion, celery, snow peas, 1/2 tsp salt, and 1/4 tsp pepper. Continue to sauté until the vegetables are softened, then turn off the heat and set the vegetables aside for later. If you can’t keep them warm, you may refrigerate them. Once the vegetables are cooked and removed from the pot, whisk in the coconut aminos, ginger, cinnamon, cloves, and fennel. Add beef and season with 1 tsp salt and 1 tsp pepper. Stir. Secure lid and set valve to sealing. Press the button that says “manual” then press the plus (+) button until the display reads 40 minutes. After the 40 minutes is up and the timer has gone off, wait for the pressure to naturally release as opposed to switching the valve to “venting”. Once the pressure has released, you can then switch the valve to “venting” to ensure all the pressure is gone and then remove the lid. Remove the beef with a slotted spoon and set aside, leaving the juices in the pot. Press the “sauté” button. Once the juices start to bubble, whisk together the starch and water in a separate bowl then whisk this mixture into the pot. Allow to thicken slightly. Stir the beef and vegetables back into the pot with the sauce. Give the vegetables a few minutes to heat back up then turn off the heat. Serve over rice and garnish with some sliced green onion, if desired. This recipe assumes the user is familiar with and knows how to use an Instant Pot. Always read and follow the manufacturers instructions before attempting to make a recipe in your Instant Pot. Love old Betty Crocker recipes this is a great spin off. We are totally saving this one so we can make it. Thanks Sammy! I had no idea this recipe had been around that long until I started asking my family about it. what happened if my pot had a ll the sauce dried out? I’m sorry that happened, Michelle. Did the sauce dry out during the pressure cooking? If so, the pot may have never sealed and come up to pressure. This could happen if the valve did not get properly set to “seal” or if the rubber ring inside your lid is damaged. If it dried up after the pressure cooking during the sauté portion, it may have been set to sauté too long. The sauce should thicken quickly after adding the starch and the vegetables don’t need long to reheat. Hope this helps! I am definitely going to try this chop suey recipe in my Instant Pot but want to use some 1 inch thick boneless pork chops I have in the freezer. Thought I’d cube it and cook about 5 minutes less under pressure than the beef. What do you think? Also want to use low sodium soy sauce instead of coconut aminos. Any suggestion on the quantity of soy sauce to use. I was thinking of 1/2 cup (or less) of soy diluted with an equal amount of water. Any suggestions are appreciated. Hi Allen. I don’t see why not. That will probably turn out great! For the soy sauce, I couldn’t give you an exact amount but I would aim for the same amount of liquid and just dilute it, like you said. I’d just taste it before you add it to the pot to make sure it’s not too salty. I’ve also heard of people diluting it with beef broth instead of water to add some flavor back in so that might work too. 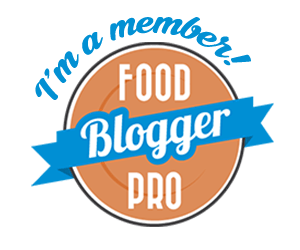 If you’re looking for more Instant Pot recipes, I’d suggest the Two Sleevers blog. She can make anything and everything in an Instant Pot! She also has an Instant Pot cookbook available for pre-order and I believe she’s already published another pressure cooker ebook. Thank you very much for you prompt reply. I think your idea of beef stock, or perhaps chicken stock since I’m using pork, is a very good one and also the suggestion (shame on me for not thinking of it) of tasting the mixture for saltiness. I also appreciate the other Instant Pot recipe site suggestion. Hi David. I think a vegetarian version of this would be great! You won’t need to cook anything under pressure so you can skip that step. Since you’ll lose a lot of volume without the beef, I’d recommend adding extra veggies or maybe some whole mushrooms, cubed potatoes, or cauliflower florets. Whatever you like, really! The other thing is the sauce utilizes the juices replaced by the beef. I’m not sure how much juice would be released but you can whisk in some vegetable stock instead. Just do it to taste – I think as long as you have enough sauce to cover everything and it’s not too salty from the coconut aminos, it should turn out great. If the sauce doesn’t thicken to your liking with that adjustment, just add a little more of the starch/water mixture. Let me know if you have questions! Hi. I just got my new Instant Pot for Christmas and this is one recipe that I itching to try. I have one question though. The recipe calls for 40 minutes in the pressure cooker but since some of these new pressure cookers offer low, medium & high pressure, I’m wondering about which pressure I should be using. Hi Monique. You’ll want to cook this on high pressure. It must be Betty Crocker. Typically, anything from her cookbook is really tasty, however… Cinnamon, cloves and fennel to spice chop suey? Powdered ginger and coconut aminos? Nope. No can do. I’ll have to pass. I took weekly cooking classes from a Taiwanese woman for nearly two years so am into authentic Chinese food. I may well try your other recipes, though. Many of them look really good. As this one may be, but…no. That does sound strange, doesn’t it? I didn’t have any 5 spice powder so I was trying to find spices to replace it. I’m not sure if the 5 spice was in the original recipe or if it’s something my family added in. It works though! The coconut aminos is a soy sauce substitute used to make the recipe gluten free and soy free. A soy sauce could still be used but not in the same quantity because it would be too salty.